How can I find my account information if I do not have a copy of my bill? What are the rules for creating a login? 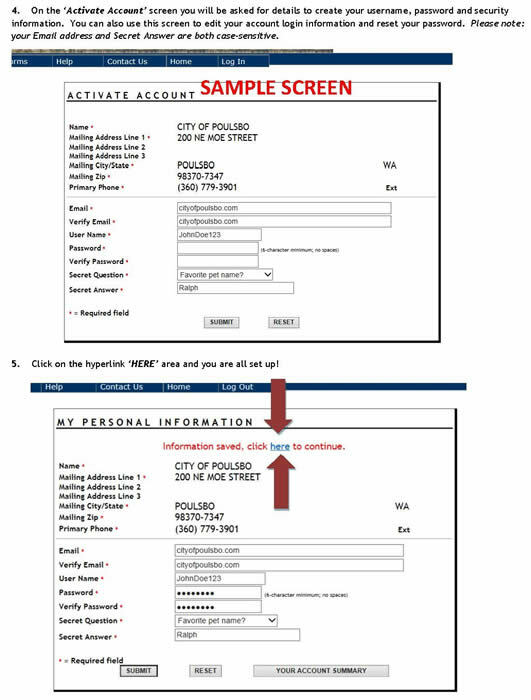 In order to create a login and activate your account you will need to have a copy of your bill. 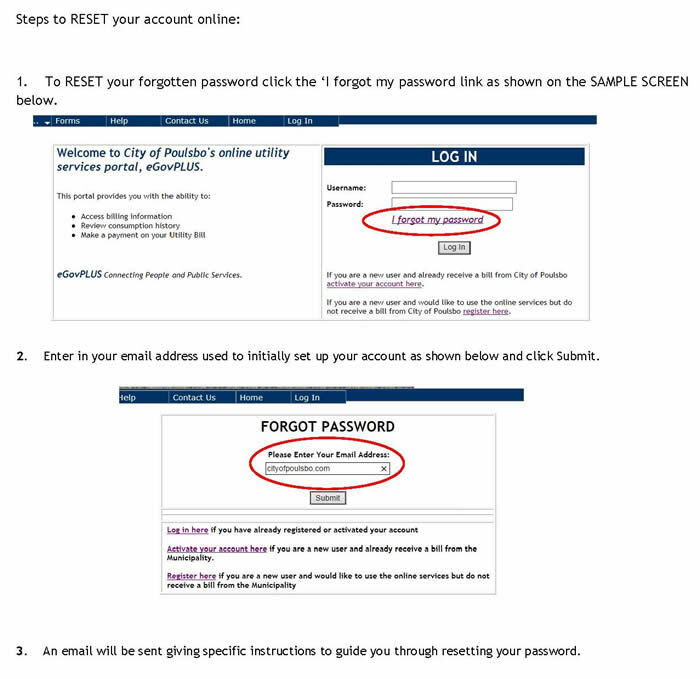 Please see below for a detailed guide to activate your account. 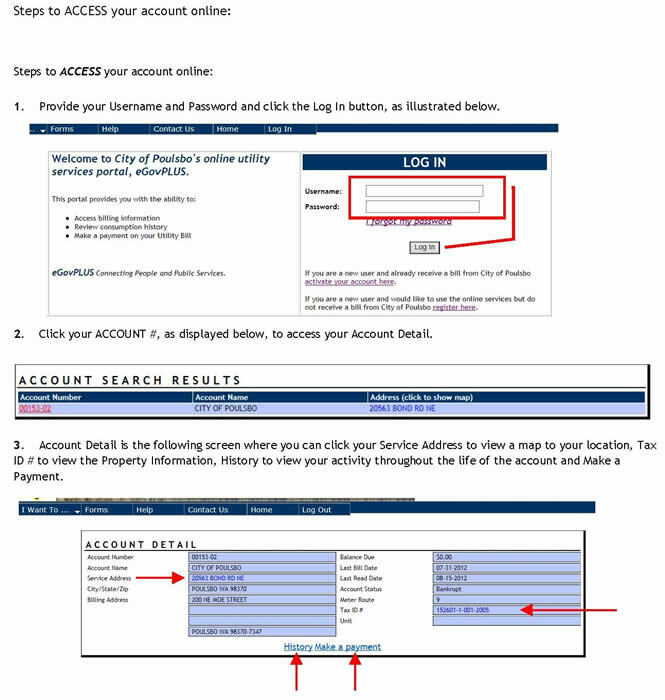 How do I access my account online after I have activated my account? Can I call the City and get support? Yes. Please call the Finance Department at (360) 394-9881 if you need assistance. How soon does the payment reflect on my account? The payment will show on your account as a pending payment immediately after payment is made. If payment is made before 2 p.m., your payment will post to your account the next business day. If payment is made after 2 p.m., your payment will post 2 business days after payment is made. Can I make changes to my account using E-Gov? No. 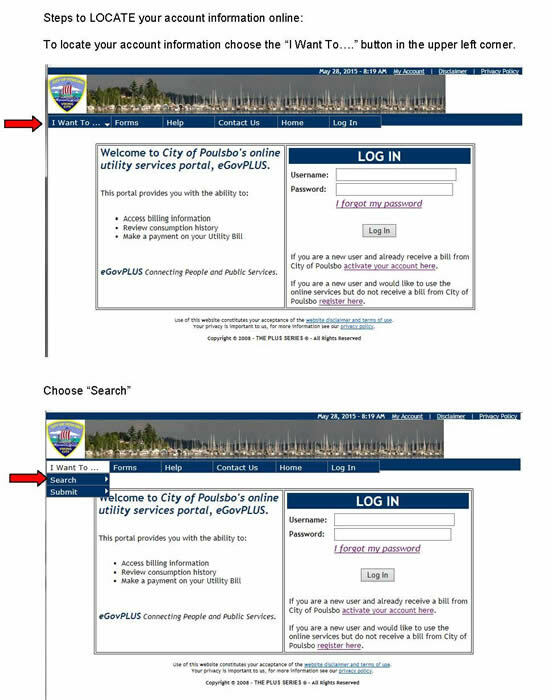 If you need to make changes to your account please call Utility Billing at (360) 394-9724. Can I make a payment on a Utility Account even if I am not listed on the bill? 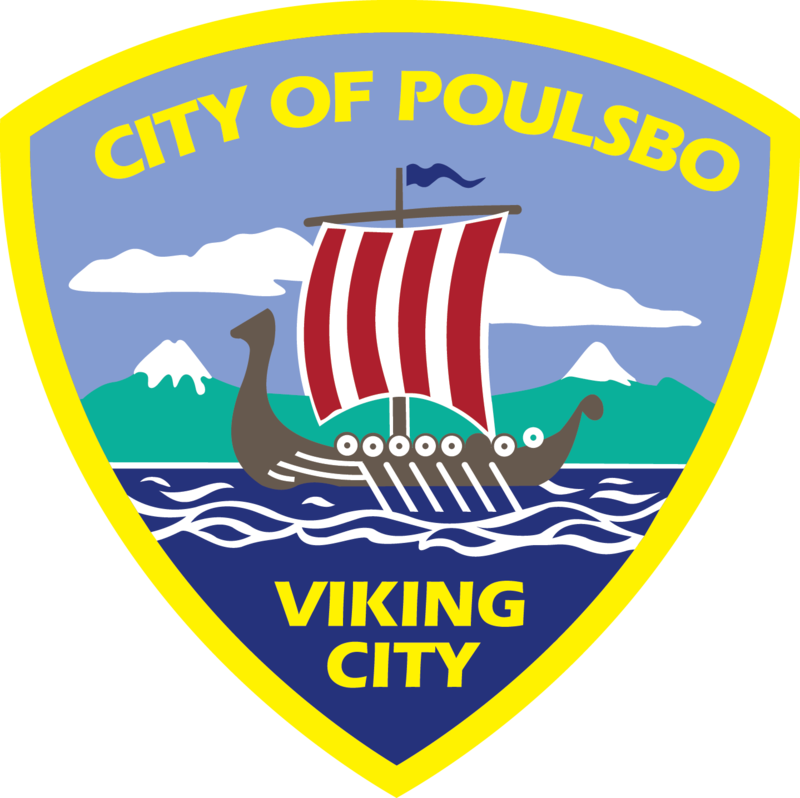 Access through this link: City of Poulsbo – Other City Payment. 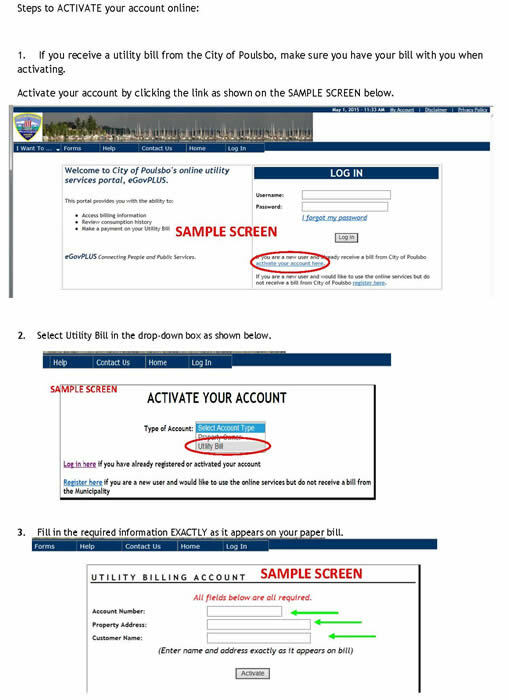 Select “Property Managed – Utility Billing” from the Payment Type drop down box. 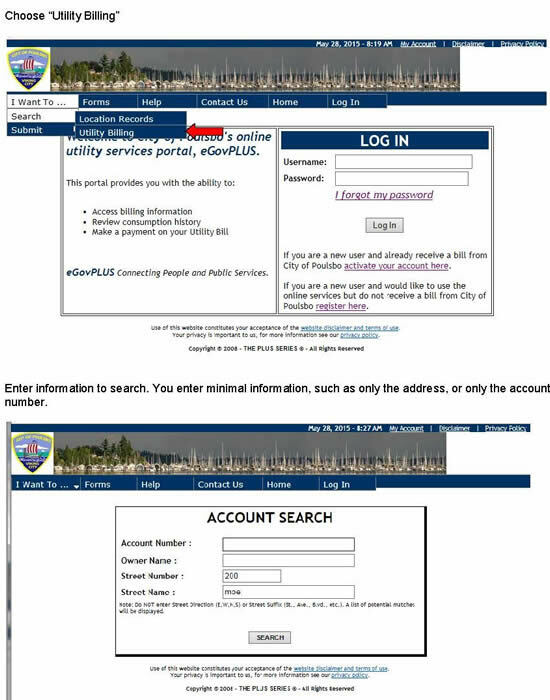 You will need to have the Utility Account Number available to make the payment.